i think its very useful n helpful 2 me tis year..i can do it.. 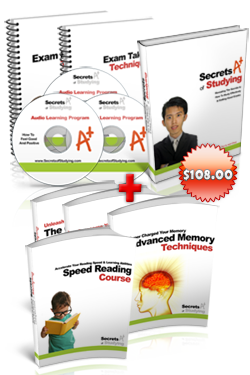 I really feel that this is a very good way to achieve good result in my exam 2011,I think I can do it very soon. By the way,Thanks and Happy New Year! these points should not wait a new year to start . Thanks~! i wonder if it is effective enough ? cause i think i tried before~ only for the last 3 months before my MAJOR exam ! but it fails 🙁 result doesn’t shows ! ANW thanks for the tips! I started today….Thanks for giving tis kind ideas for us. i think i will started with nthose step every day… thank you very much !!! i realized that upon reading this steps, i have to accept any ideas which could help my studies and showing movements in implementing such steps in my life..i am very thankful to those who maid these website..
wow! george that was amazing……………………………. 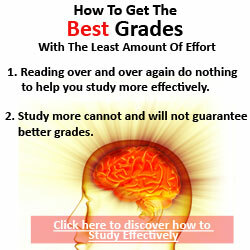 I really want to get A+ however I dont know the study habbits know I read this article I have my own idea in order to achive this semester thank you for your info about this strategies. i want to get all a’s. i’m working very hard . god’s blessings is with me always. Thanks alot. this article is awsome for all A level students. i’ll tell my friends about it. i want A* in physics chem and math. i AS igot one A and B. i did planned last year but i was careless and wasted alot of time. it would also be helpful if you could tell about some books and precize way of studying chemistry and physics. but how 2 undrstnd the topics … Picture perfect! and guess what i will try mt best for the test coming up!!!!! Great website. Have exams coming up shortly and the tips on these are really helpful!! Professors always tell us to read over the notes within the 2 hours after class ends. I think reading the chapters before class and then again before the exams could also help. this year i’m gonna having an SPM exam ..
i hope u can help me ..
i realy want to study but i dont who else can help me..
from now i try my level best to get A1 in all the subjects. Actually my main problem is concentration. My concentration is not good. I get distracted from my studies very often. But still i m good in studies but i want to achieve more. i plan but cant do according to it. I think that this must help me. I m in 10th the board exams. 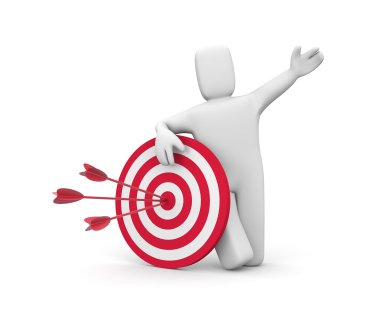 how do we know if our goals are attainable? For example,i aspire to score 6As for Alevels is that possible?Im a J1 is going to take his mid year exam.Pls help me..Ive been stuck with this since secondary sch.I have aspired to score 7A1s in Olevel but i scored 3A1s and 3A2s. I didnt really got my target.Can someone help :(?how do we know if our goals are attainable?if we do our best,is it possible? @Mirmo: Our goals are attainable when we want to attain it and believe that we could do so. It is not by doing your best, but by knowing the strategies and techniques to do so. It’s the same in life as well. If you aim to become a millionaire, you need to find the strategy to become one, and work towards it. If you want to become an Olympic swimmer, you need to know how does the athletes train and train like them. The same for A’s for your ‘A’ Level. You need to know exactly what are the strategies to achieve that. My son has just now landed in O level so I wanted to advice him how to study. Well it helps me a lot and I really thanks to all. Thnk u sir…vry useful…..I’ll practise dis…..again thnk u…god bless u…. Thanks very much , ill try this out and hopes it works and ill come back with my results thanks. Thank you so much sir for giving us such wonderful techniques n i’l surely started applying it from today…. Thank you so much for such tips. I study in BCA(Bachelor in Computer Application) Now I want to share my goals. My goal is to top in the BCA exam. Overall I am having good marks in last four semesters. Now I have to get highest ’95+’ marks in the last papers. I will definitely achieve sir. Thanks for tips again sir. Thanks for ur advice and am gonna try harder about ur steps for better grades.